This mahogany is a reclaimed arm rest from the original seating in Funkhouser Auditorium which was erected on the campus of Alderson Broaddus College, now Alderson Broaddus University, in 1957-58 and shares a building with Pickett Library. This maple is from a reclaimed arm rest from the original seating in Funkhouser Auditorium which was erected on the campus of Alderson Broaddus College, now Alderson Broaddus University, in 1957-58 and shares a building with Pickett Library. 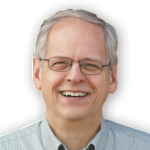 This wood was reclaimed from the stage surround in Funkhouser Auditorium which was erected on the campus of Alderson Broaddus College, now Alderson Broaddus University, in 1957-58 and shares a building with Pickett Library. This wood was reclaimed from an original bleacher board in the Rex Pyles Arena built in 1968 to 1969 on the campus of Alderson Broaddus College, now Alderson Broaddus University. At the entrance to the Davis & Elkins campus stands the Gatehouse, a quaint structure that doubled as a gatekeeper’s/caretaker’s residence during the years when the Elkins family spent their summers at Halliehurst. Today, the tiny historic building houses the D&E College Office of Public Safety. 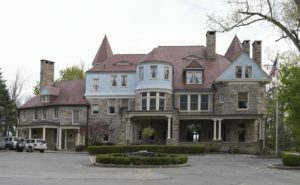 Completed in 1893, Graceland is a stone mansion that, along with a 360-acre estate, served as the summer home of Senator Henry Gassaway Davis. 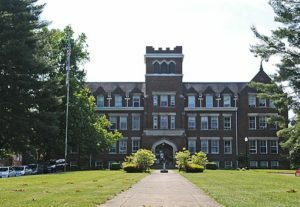 In 1945, it was presented to D&E College by the WV Presbyterian Educational Fund and was used for student housing until 1970. 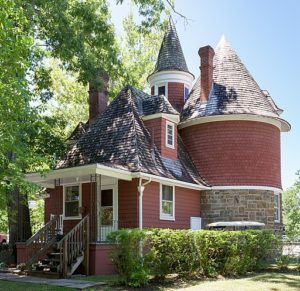 Built (circa 1890) by Senator Stephen B. Elkins as a summer home, Halliehurst Mansion and the surrounding farm were donated to Davis and Elkins College in the late 1920s by his widow, Mrs. Hallie Davis Elkins. It now houses the Office of the President. This pine was reclaimed from the bleachers of the Feaster Center on the campus of Fairmont State University. The Center opened in 1978. The bleachers were replaced during a 2014 renovation. 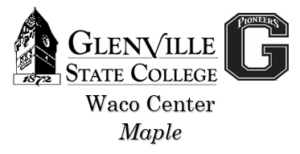 This maple was reclaimed from the floor of the Feaster Center on the campus of Fairmont State University. The Center opened in 1978 with a rubber floor which was replaced in 1984 with this maple floor which was in use for 30 years before being removed in May 2014. This cherry was reclaimed during a 2017 renovation of the Fairmont State University Hall of Fame in the Feaster Center. Members were inducted in 1993, 1997, and annually beginning in 2001. “We think we are most happy in the selection of our name, The Mound. Situated near the center of the campus is the Historic Mound, upon which grows a stately sycamore tree, in which birds of days gone by have been born, reared, educated, and graduated into the knowledge and mysteries of life.” - 1908 Fairmont State Normal School Yearbook This wood is from the present day Mound Tree - a poplar which was removed in 2014. 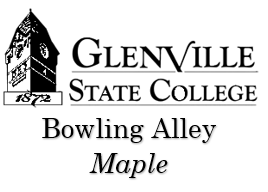 This maple was reclaimed from the apron of the Glenville State College bowling lanes which were housed in the Student Union and served as the home lanes for the GSC 1976 National Collegiate Bowling Champions. This wood was reclaimed from the clock tower which was added to the Administration Building in 1897 with the clock being installed in 1899. The tower was deemed unsafe in 1903 and was torn down and rebuilt. 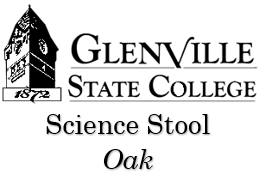 This oak has been reclaimed from the broken "insulator stool" housed in the Science and Mathematics Department and used for many decades in various GSC scientific activities. This maple was part of the floor of the newly constructed Waco Center, the indoor athletic facility, at Glenville State College which was opened in 2014. 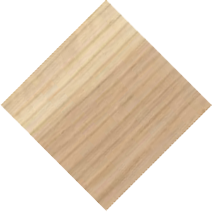 This wood was reclaimed from “The Marshall Beech Tree”. 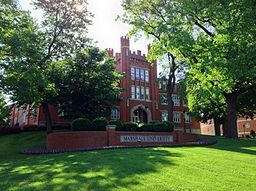 The Marshall Beech Tree and Old Main still mark the original site where the Marshall story started in 1837. It was struck by lightning and killed during Marshall’s 150th anniversary in 1987. A new beech tree was planted with hopes of living 150 more years. 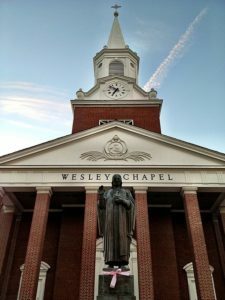 This wood was reclaimed from an original pew from the Marshall University Campus Christian Center, completed in 1961 on Fifth Avenue beside the Memorial Student Center. The pew appeared in the “We Are Marshall” movie. 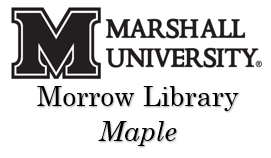 This hard maple was reclaimed from shelving from the Morrow Library on the campus of Marshall University. 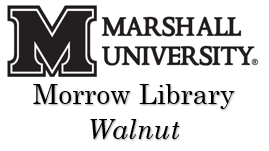 This walnut was reclaimed from a chair in the Morrow Library on the campus of Marshall University. 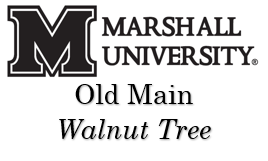 This walnut was harvested from a tree on the front lawn of Old Main on the campus of Marshall University. The entire tree including the root ball was harvested in 1996 by Jerill Vance of Jerill Vance Woodworks of Culloden, WV. 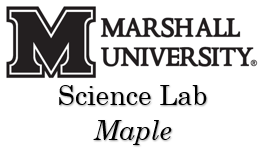 This wood was reclaimed from a science laboratory on the campus of Marshall University. 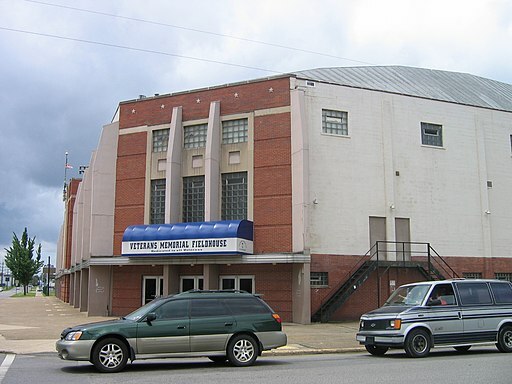 The Veterans Memorial Fieldhouse was an 8,500-seat (6,500 for basketball) multi-purpose arena built in 1950. 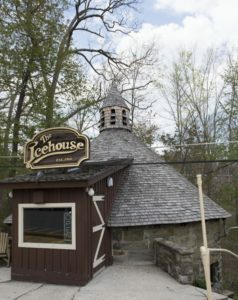 It closed on February 10, 2012, and was demolished later that year. The Fieldhouse was the home of the Marshall University basketball teams until the completion of the Cam Henderson Center in 1981. This wood is a reclaimed arm rest. This maple was reclaimed from a cabinet built by the Evans Lumber Company of South Charleston. 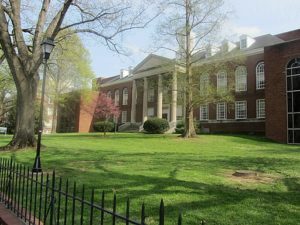 It apparently was first used at Morris Harvey College (now University of Charleston) and later at South Charleston High School and Junior High. This poplar was reclaimed from a tree which grew on the grounds of Shelton College on College Hill in St. Albans, WV. 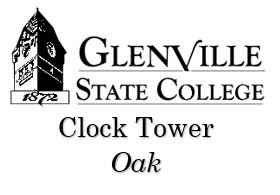 Shelton College closed its doors in 1887 after being in existence only 10 years. This maple was reclaimed from the floor of the Eddie King Gym on the campus of the University of Charleston during the renovation of the gym which included the creation of the Innovation Center. This cherry was reclaimed from the Hall of Fame in the Eddie King Gym on the campus of the University of Charleston during the renovation of the gym which included the creation of the Innovation Center. 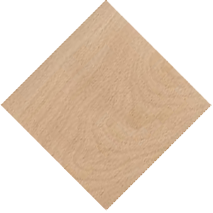 This wood was reclaimed from a lectern used in a classroom in Riggleman Hall, the first building erected at the current location of University of Charleston. 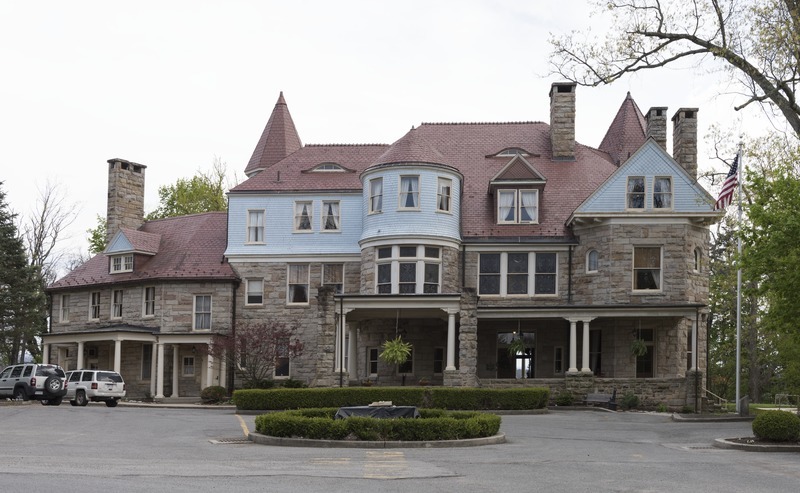 The Administration Building was constructed in 1906 on the same site as the original 1890 Seminary Building, which burned in a Saturday morning fire in February of 1905. The name was officially changed in 1953 to acknowledge Judge Charles W. Lynch and John Raine, both of whom were chairmen of the Board of Trustees, as well as benefactors of the College. 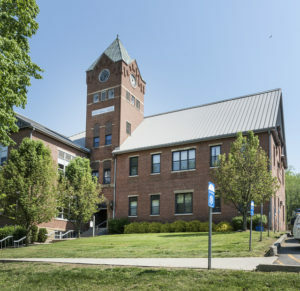 Formerly known as Ladies Hall, Agnes Howard Hall is the oldest surviving building on Wesleyan’s campus, and is believed to be the oldest continuously used residence hall for women in the state. The original wing was constructed in 1895. C. D. Howard provided funding for the Meade Street wing. The building was renamed Agnes Howard Hall in memory of his daughter in 1920. 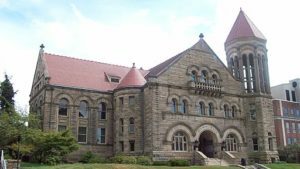 The Annex Building is the second oldest building on campus, dating from 1902, and has served a myriad of purposes over its lifetime. Originally constructed to house the School of Music, the “Music Box” (as it was known) was filled to capacity with relocated classes after the February 1905 fire that destroyed the main academic building. Today it houses Wesleyan’s English department and Writing Center. Constructed in 1906 and connected to the rear of the Lynch-Raine Administration Building, the chapel was named for George W. Atkinson, tenth governor of West Virginia and a member of Wesleyan’s Board of Trustees, after Atkinson gave $3,000 toward the installation of a pipe organ in 1922. 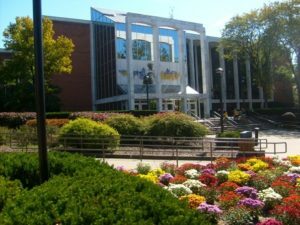 Opening in 1963, The Benedum Campus Center was complete with a swimming pool, a six-lane bowling alley, billiards room, music listening studios, lounge space, a coffee shop, and a large social hall. 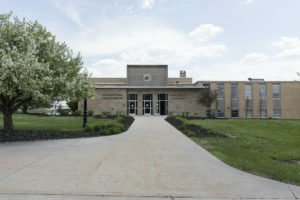 The building was renovated and repurposed slightly in 1997 leading to the removal of the bowling alley and the reconfiguring of lounge space into administrative offices. Construction of Wesleyan’s second residence hall for women took place from 1957-1959, and the building was dedicated May 24, 1959 and named in honor of Edna Jenkins, who staunchly supported Wesleyan in numerous ways throughout her life. 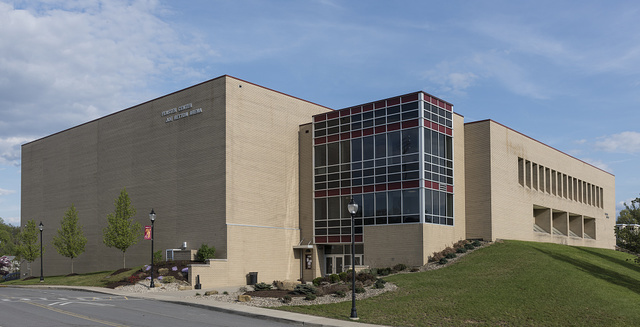 McCuskey Hall was constructed as the second residence hall for men and was named for Roy McCuskey (Sem. 1905; College 1908), who was the eighth president of Wesleyan and who ostensibly kept the College operating through the Great Depression. Construction began in 1956, and the building was dedicated in 1958. 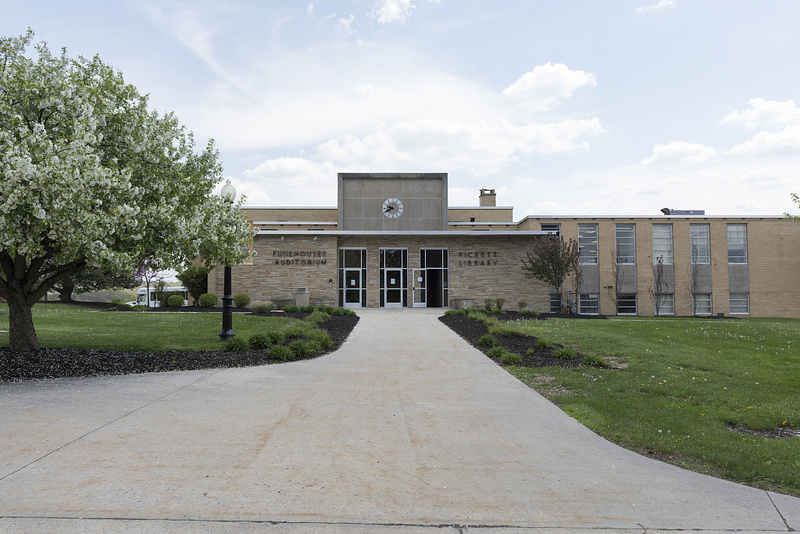 Philanthropist Annie Merner Pfeiffer committed funds in 1944 toward the construction of a new library (dedicated in 1953) with the caveat that two buildings of equal value be constructed simultaneously. This chestnut was part of the logs used in 1968 to create the carvings of the twelve apostles carved by Wolfgang Flor, a world famous sculptor who lives in southern Upshur County. The wood was reclaimed from an antique barn in Sutton in neighboring Braxton County. 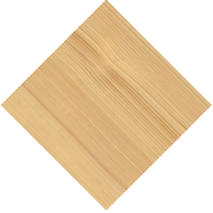 This wood was reclaimed from a tree on the campus of West Virginia State University in Institute. The tree, near the football field, was destroyed during a storm in the summer of 2018. This oak was reclaimed from The Blaney House, the home of the President of WVU as it was prepared for Dr. E. Gordon Gee’s second tenure as president in 2014. This shelving was reclaimed from Clark Hall, home of the Department of Chemistry since its construction in 1925. Chemistry Hall was renamed in 1968 to honor Friend E. Clark who was department chair from 1919 to 1947. This maple was reclaimed from the floor of the WVU Coliseum which was built in 1970 and replaced the Fieldhouse. The Coliseum has a seating capacity of 14,000 compared with 6,000 at the Fieldhouse. The first event held at the Coliseum was a Grand Funk Railroad concert. The first basket scored in the new Coliseum was made by Charleston High School star Levi Phillips on December 1 in a 113-92 victory over the Colgate Red Raiders. This mahogany was reclaimed from a piano in the Creative Arts Center on the Evansdale Campus of WVU. It was completed circa 1968 and includes a 1412 seat theatre as well as labs, classrooms and studios. The Reymann Memorial Farm was given to West Virginia University in 1917 by the family of Anton Reymann of Wheeling in memory of Lawrence A. Reymann. The farm is located on Highway 259 about two miles north of Wardensville in Hardy County. 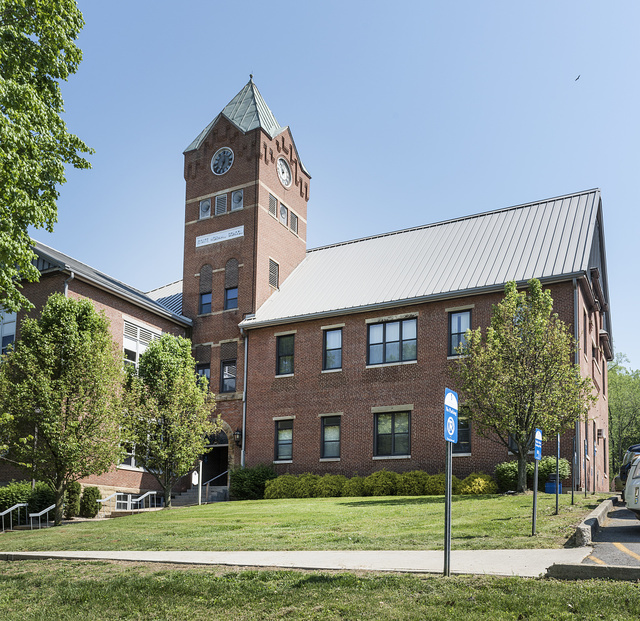 Completed in 1870, Martin Hall, the oldest building on the University campus, was originally named University Hall and was renamed in 1889 in honor of WVU’s first president, the Rev. Alexander Martin. This oak was reclaimed during a summer 2014 renovation of the Milan Puskar Center which is located under the bleachers in the south end of Mountaineer Field and houses the team dressing rooms, trophy rooms and offices. The Mountainlair, commonly called "the Lair" by students, is the three-floor student union building at West Virginia University. The current building dates to 1968 and replaced an earlier structure built in 1948. This wood was a flag pole from the stage in the Blue Ballroom. This oak was reclaimed during a summer 2014 renovation of Room 335 of Percival Hall on the Evansdale Campus of WVU. This oak was reclaimed during a summer 2014 renovation of Room 335 of Percival Hall on the Evansdale Campus of WVU. This room is regularly used by students in the Human Resources and Education College as well as Forestry students. This wood was reclaimed from a chair in the Admissions Conference Room at the WVU School of Medicine. This maple was reclaimed during a 1996 renovation of Stansbury Hall at WVU. 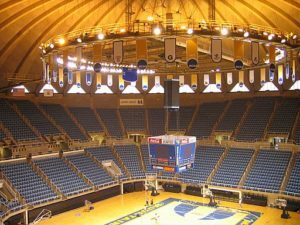 The building opened in 1929 as the WVU Field House and was the home of WVU basketball until 1970. It was renamed in 1973 to honor former Athletic Director Harry Stansbury. Stewart Hall was built between 1900 and 1902, and housed the university library until 1931, when it became the Administration Building. It was renamed in the 1970s in honor of Irvin Stewart, president of the University from 1946 to 1958. This chestnut was reclaimed from a door jamb from Room 208. 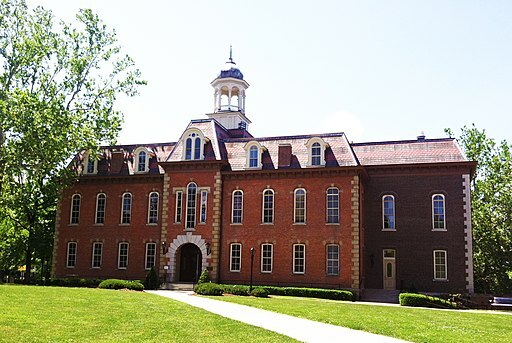 Woodburn, the second WVU building, was completed in 1876. In 1910, the iconic Seth Thomas clock was moved from the cupola of Martin Hall to the Woodburn tower. This maple was reclaimed from a classroom floor replaced in the 1980s. 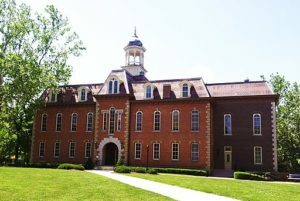 Woodburn, the second WVU building, was completed in 1876. 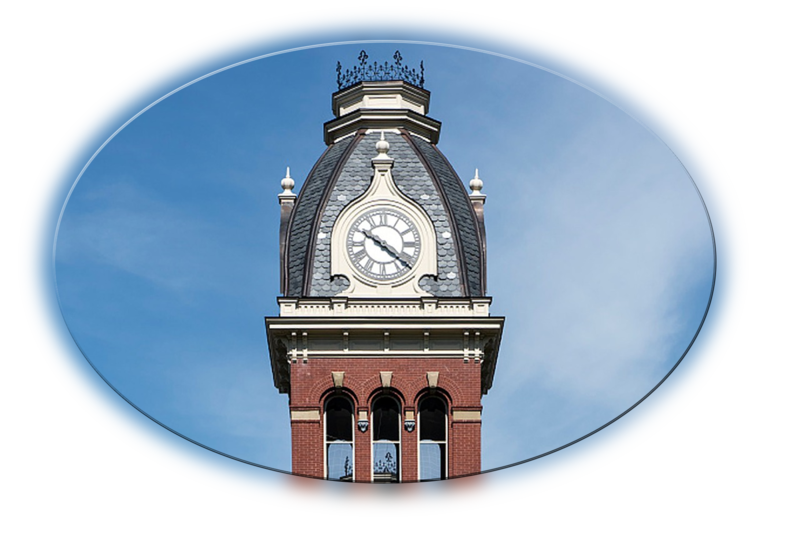 In 1910, the Seth Thomas clock was moved from the cupola of Martin Hall to Woodburn tower.